An advertisement from the Carpinteria Herald in 1927. 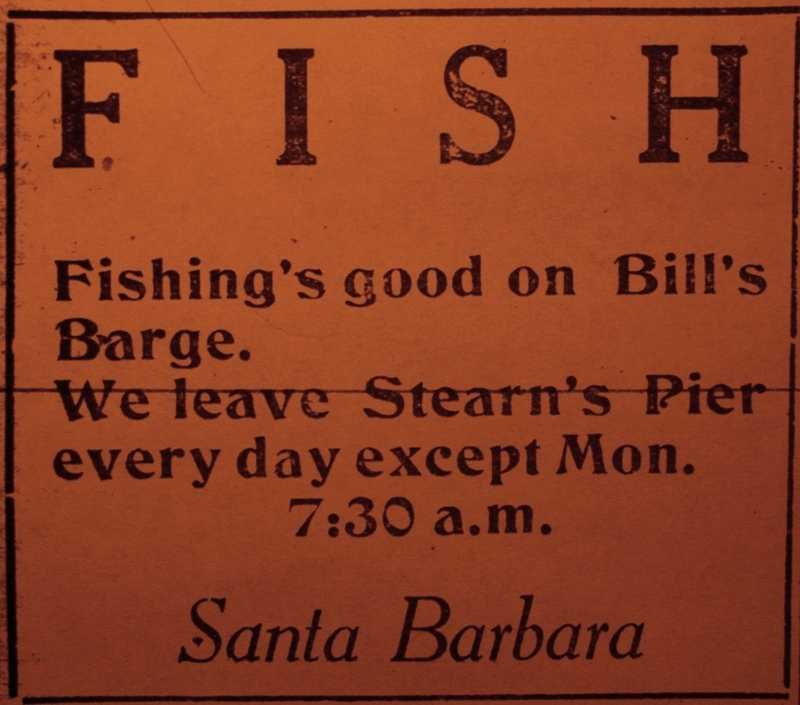 This entry was posted in Santa Barbara and tagged Carpinteria, Fishing, History. Bookmark the permalink.